Here at TORQ we go to great lengths to ensure no stone is left unturned in the development of our Performance Nutrition Products and when it comes to our team bikes, things are no different and we work extremely hard with our sponsors to coordinate bespoke team liveries and special editions.. Both the TORQ Performance Triathlon and Mountain Bikes Teams have been lucky enough to be supported by Kapz Guru this year. Kapz is a company producing a stunning range of completely bespoke, handmade, headset caps, bar ends and spacers, here in the UK. 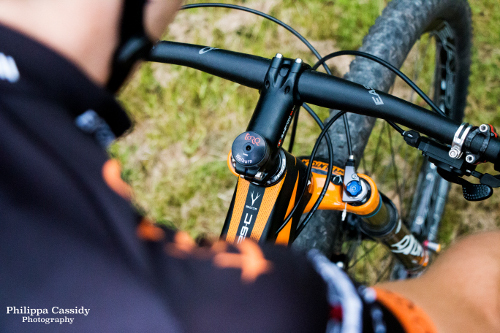 Alongside the other custom parts on the team bikes, the TORQ Kapz are another detail that makes our bikes so unique. Each rider has a custom headset cap bearing their surname and the TORQ logo, so there will be absolutely no confusion as to who’s bike belongs to who this season! A common problem at team events when 14 team bikes are racked up next to each other. The craftsmanship on these caps is quite stunning and understandably some of the biggest names is cycling now have Kapz on their bikes.